On Sunday afternoon I went for a short walk up the hill behind (to the west of) a house plot I'm contemplating. Here are a few pictures - click to embiggen. 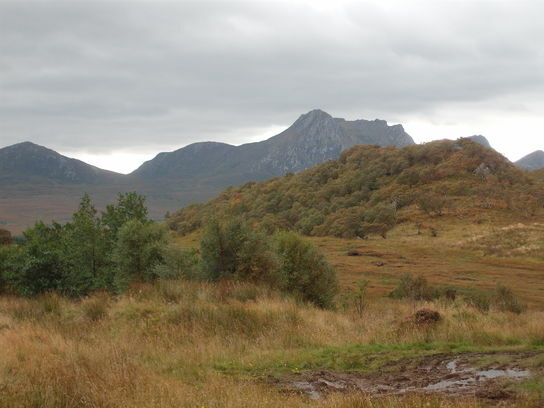 Ben Loyal, to the south. I calculate that around the winter solstice from the plot the centre of the geometric Sun should be 1.39° above the peak. Braetongue to the north east. Currently home is the other side of those hills. 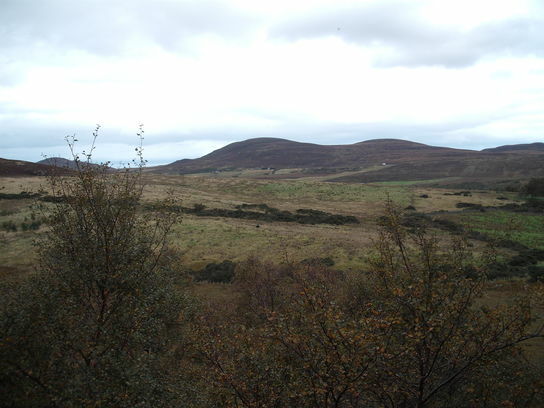 The white dot to the right of centre (at the "centre of curvature" of the right-hand main hill) is a microwave station. There's another possible plot just the left of that but it wouldn't get too much sun early in the day. 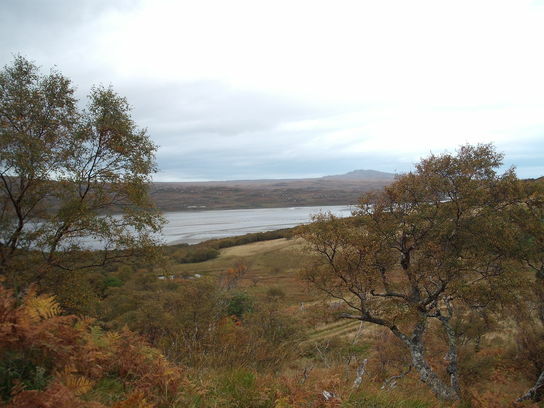 Kyle of Tongue to the north west.